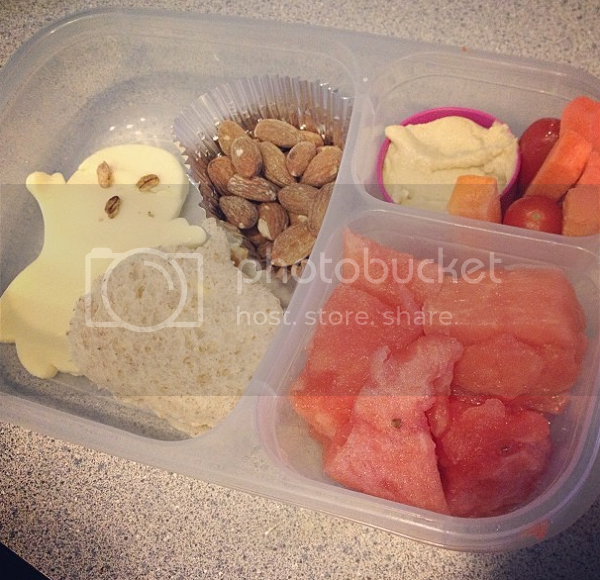 Pumpkin shaped peanut butter sandwich, watermelon, cheese ghost with granola face, almonds, carrots and tomatoes with hummus. On the day we went to the turtle hospital, I made a turtle out of sliced grapes. The shell is a sandwich made out of half of a hamburger bun and peanut butter and the face is just raisins stuck to a grape with peanut butter. 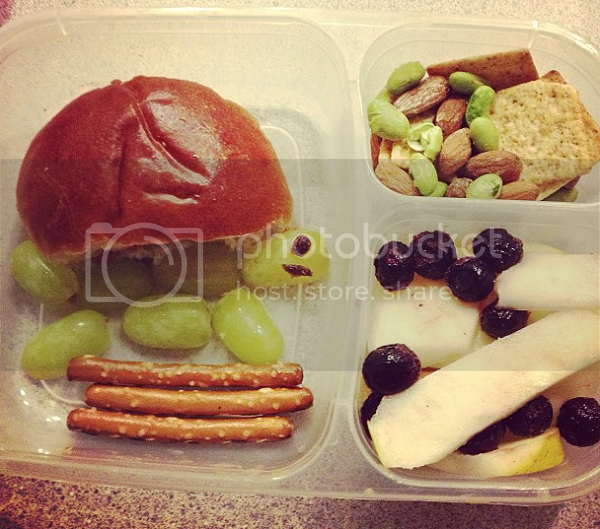 Also pretzel sticks, pears and blueberries, whole wheat crackers, edamame and almonds. 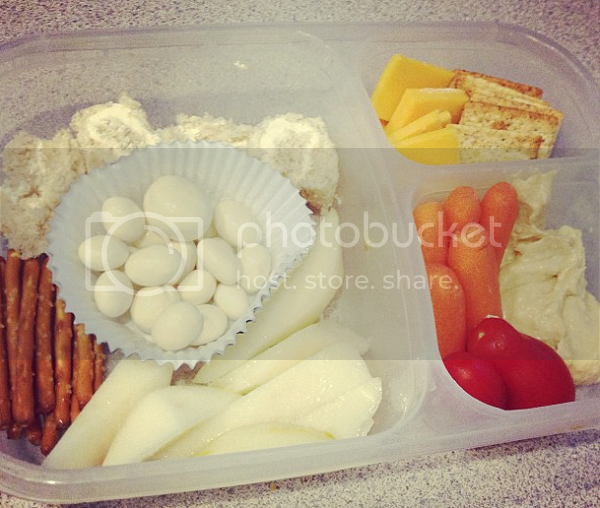 Cream cheese roll-up sandwich bites, pear slices, pretzels, yogurt raisins, carrots, tomatoes, hummus, cheese and crackers. Halloween lunches are a hit these days. 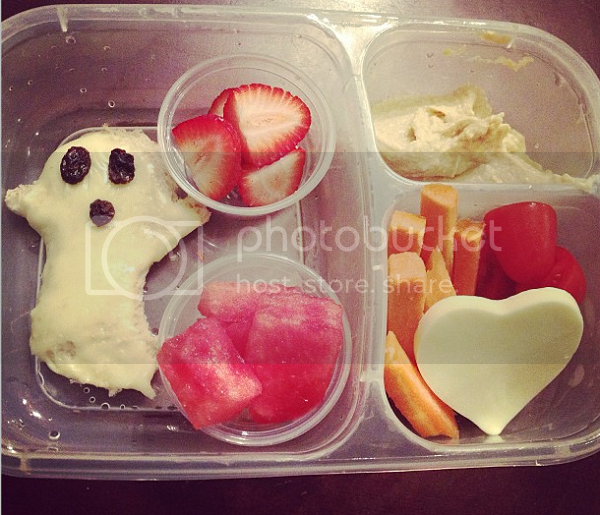 A ghost sandwich with melted cheese and a raisin face, watermelon, strawberries, carrots, tomatoes, cheese and (of course) hummus. 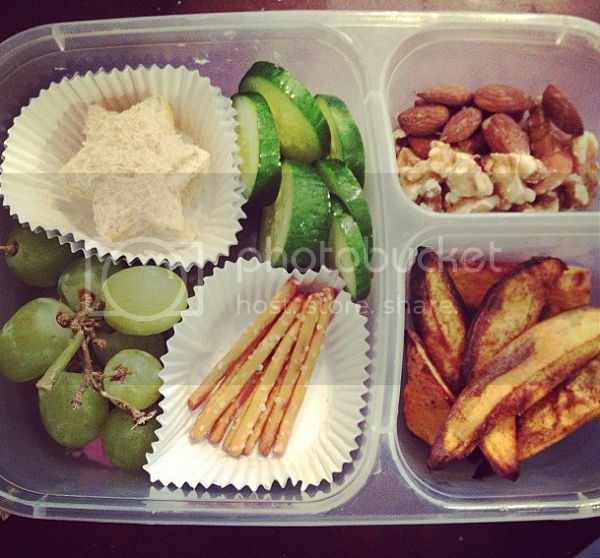 Star shaped cheese sandwich, cucumber slices, pretzels, grapes, almonds and walnuts, baked sweet potato "fries."